Our partner brands Materia and Blå Station are finalists at the NYCxDESIGN Awards in New York! Interior Design and ICFF created The NYCxDESIGN Awards to honor the outstanding product exhibited throughout NYCxDESIGN. The submissions will be reviewed by a panel of 30 design luminaries. Winner and Honorees will be recognized live in a ceremony at MoMA, published in Interior Design magazine, and promoted on Interior Design’s digital channels. The NYCxDESIGN Awards finalist Mr T invites users to vary their seating positions. You can sit up straight, on the edge or straddle the stool. 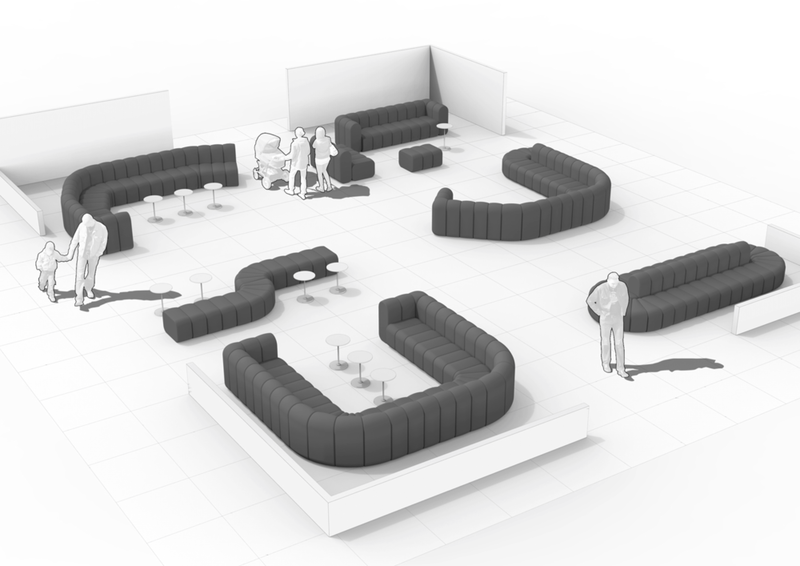 Furnishing with several Mr Ts and positioning them in different directions in the room creates an interesting environment which encourages conversation and interaction. Design: Roger Duverell, Ola Giertz. See more from Materia. The NYCxDESIGN Awards finalist Bob is a sofa system providing almost unlimited options, constructed using the smallest possible number of modules. Where ordinary sofas are usually rectangular, square and predictable, Bob offers the architectonic freedom to either challenge or adhere to all types of spaces. Design: Thomas Bernstrand, Stefan Borselius. See more from Blå Station. Come try Mr T and Bob at ICFF May 21-24. Materia stand 1324, Blå Station stand 1713.